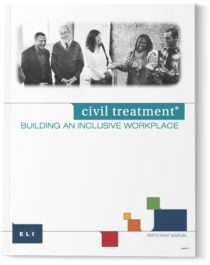 Civil Treatment®, ELI’s award-winning flagship training program, is designed to help organizations prevent, detect, and correct inappropriate behaviors and build productive, inclusive cultures. 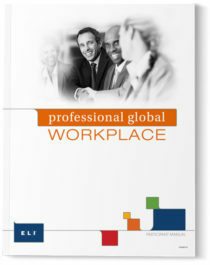 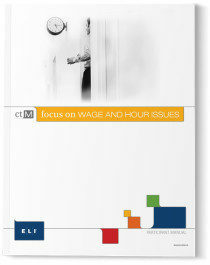 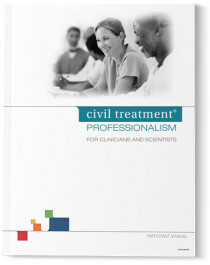 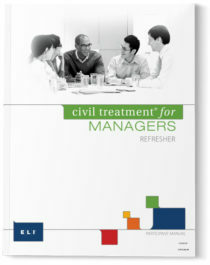 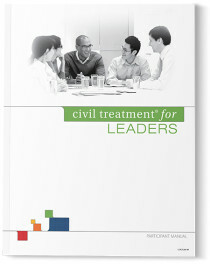 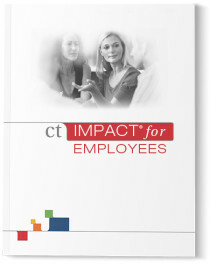 Civil Treatment is a series of training and learning courses with tracks for leaders and employees. 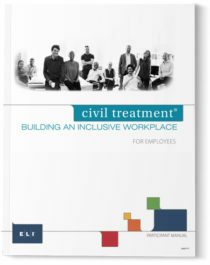 Designed to address the issues that businesses face on a daily basis, the programs provide participants with resources to create a more civil, inclusive, and productive workplace. 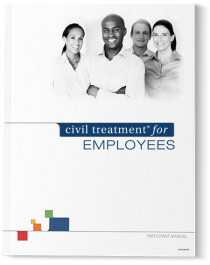 Examples of topics covered within Civil Treatment courses include harassment, discrimination, retaliation, bullying, respectful work environment, and wage and hour issues. 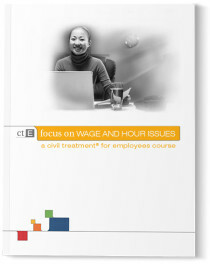 The program offers a variety of delivery methods including Instructor-Led Training (ILT), Virtual Instructor-Led training (VILT), and Online Training. 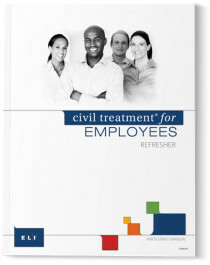 Civil Treatment will give your organization the skills and insights needed to achieve positive business results and engage employees in ways that inspire their best work.